Night Dive has confirmed that it is moving on from republishing old games whose rights have languished in troubled legal waters and is looking to reimagine them too, starting with a full remake of cyberpunk classic System Shock. Night Dive, founded by Stephen Kick, made a name for itself in 2013 by doing the seemingly impossible: negotiating the rights for a re-release of abandoned classic System Shock 2. The much-loved sci-fi first-person role-playing title had previously languished as semi-abandonware following the dissolution of Looking Glass Studios. Negotiating three ways between the two insurance companies who held the rights to the game and Electronic Arts who held the right to the trademark, Kick managed to secure a deal that saw the game re-released for the first time through GOG.com. Night Dive would go on to do the same for the original System Shock back in September this year, but Kick has revealed that he's not stopping there: his company is to work on a remake of the series, starting with the original and with the input of the franchise's original concept artist Robert Waters. 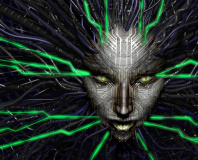 According to details released by Kick during an interview with Fast Company, the negotiations gave Night Dive full rights to the System Shock franchise, including the ability to make new games in the series. While his company will start with the easier task of remaking the existing titles, Kick has indicated that he's not ruling out the possibility of making System Shock 3 - but that it would require partnering with a larger publisher to aid with the finances. Night Dive has not yet offered a release date for the game, which is to launch on PC and consoles.